Hey mom, you work too hard! Take a break and treat yourself to a little R&R Momcation! In this package, you'll enjoy a two night stay, spa treatment, and complimentary champagne and chocolates with this package! This is the momcation you've been needing! Not a mom but know someone who needs this, share this with them or purchase a Gift Certificate for them today! Enjoy $100 credit for services of your choice at the Beaufort Day Spa located in a lovingly restored historic home on The Beaufort Inn property. 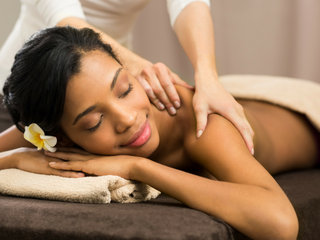 After a day of shopping and strolling through historic Beaufort, you will experience the tranquility of being pampered body, mind and soul. Specialty bath products will also be awaiting you! Spa reservations must be made directly with the Spa. Package will add $100 to your total stay for a credit to use at The Beaufort Day Spa.